CROON TIME. 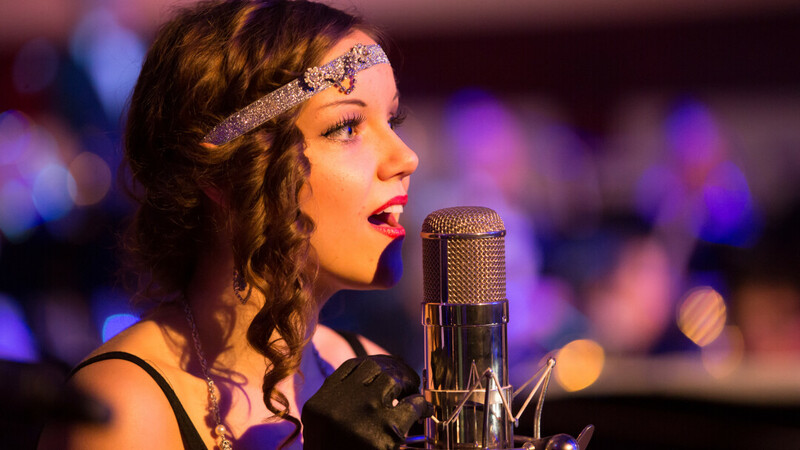 Brooke Nicole Sjoquist was among the performers on Nov. 14 when Eau Claire Jazz Inc. (in partnership with UW-Eau Claire) presented Gatsby’s Gala at the Davies Center. The jazz age-themed dance took cues from The Great Gatsby’s portrayal of the Roaring Twenties.